I've decided that over the holidays I will be doing tutorials on some of my favorite classic Hollywood women. I chose to start with Ann Margaret because she was not just a style icon, but one of the very few women who could steal the spotlight from someone as charismatic as Elvis Presley. "Viva Las Vegas" is one of my favorite Elvis movies and Ann Margaret was beautiful in it, and of course I hold a special place in my heart for red heads. 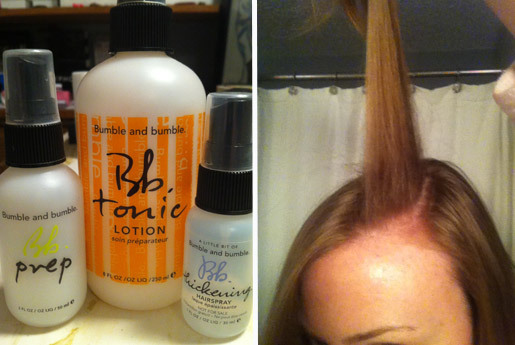 I started by spraying a few things on my hair to create volume and to help the style hold. This included thickening spray at the roots. I then created a dramatic part starting at the arch of my eyebrow. 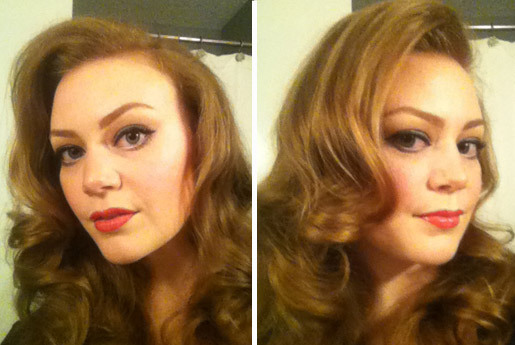 I took one inch sections in the front, teased the base and used a large curling iron to curl the hair. 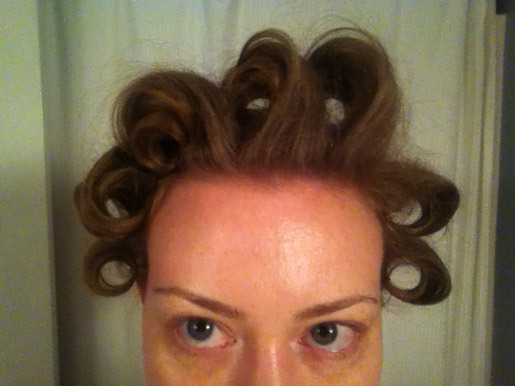 After I curled it I created a stand up pin curl on base, meaning it is set on top of itself. This is all to create volume. Ann Margaret had lots of volume in her hair style. I created three on top and then worked my way around the entire head. This look isn't about making the hair curly as much as it is making is voluminous. 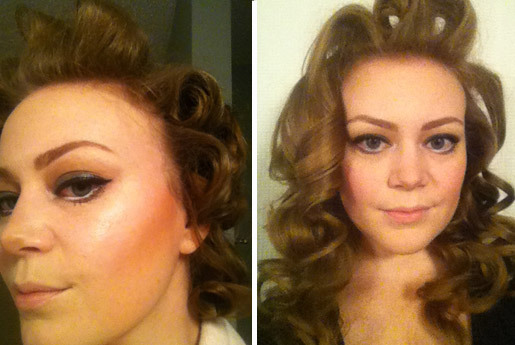 Three stand up pin curls with a good tease at the base of each. It doesn't have to be neat. 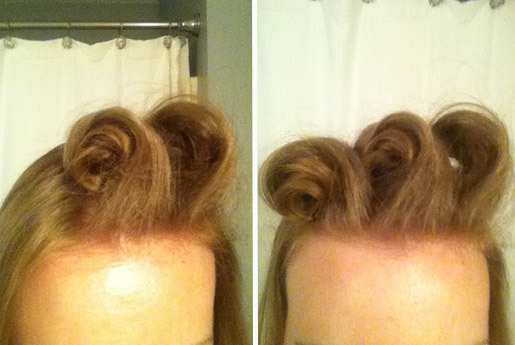 You can see how big the pin curls are and how much they stand up. Now that my hair is setting, I moved on to the makeup. I started by applying a face primer. I used a Sephora brand primer, but you can use any brand you like. It really does help to even out the skin and makes your makeup last longer. I also used an eyeshadow primer, Urban Decay, to help the eyeshadow stay and reduce creasing. I used my usual foundation, Makeup For Ever HD. I then lined my waterline with a white eyeliner pencil to make my eyes look bigger. This makeup look has more emphasis on the upper eye area with a clean under eye. 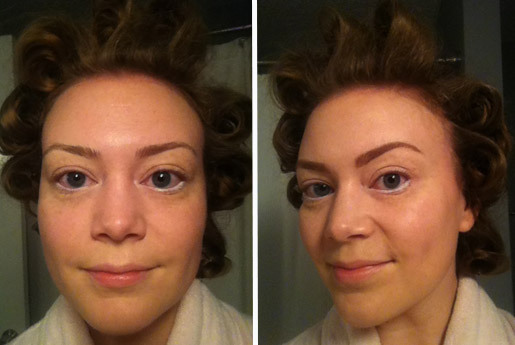 I then accentuated my eyebrows and slightly changed the shape making them fuller and rounder. I used a brown eyeshadow. I covered the entire lid with a dark gray called gunmetal from the Urban Decay Naked Palette and then swept a medium matte color across the crease of the eyelid. I applied these using my brush kit, also a Sephora brand. 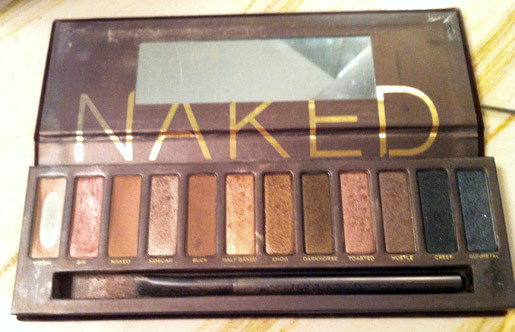 I rarely use the brush that came with the Naked Palette. Gunmetal is the last on the right and the brown I used was Buck, the fifth from the left. 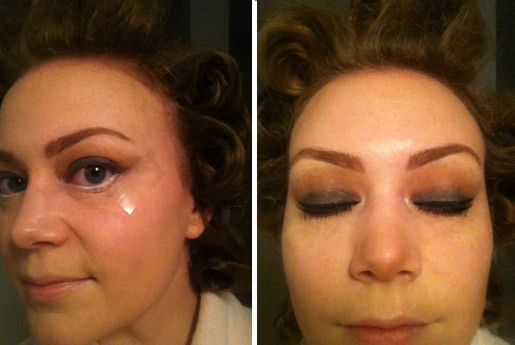 I used liquid eyeliner, but here is a little trick to get a clean wing on the outside corner of the eye. Use scotch tape to create a barrier. Once you are finished remove it and you will have a clean line every time. Add mascara to the top and bottom lashes. Finally, I added some contour to the cheek bones and finished with a dusting of loose powder and red lip. Now it's time to take down the hair. Brush out the curls lightly with your fingers, then tease more wherever you need it. Use a bristle brush to smooth everything out and spray the hell out of it with hair spray. Another tip is to use the pointy end of a rat tail comb to add volume to areas that need it by lifting that area carefully. The goal is to get a large wave or waterfall effect in the bang area. And here is the photo I used for inspiration.